Bookings: Clerk 01483 203431 or complete the adjoining form. 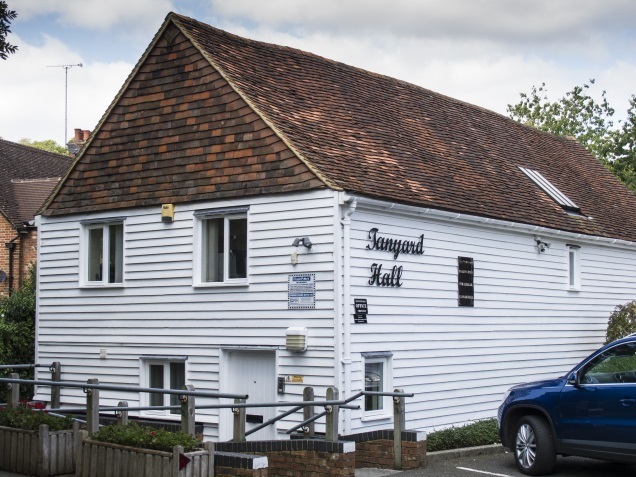 A wonderful venue for parties, meetings, functions and classes, Tanyard Hall is a beautifully renovated building which was originally a 15th Century Hall House. It is owned by the Parish Council and is available for hire for functions, meetings, classes etc. The beamed interior creates a wonderful atmosphere and the building is especially ideal for children’s parties or gatherings of friends or family. Maximum numbers – upstairs room – 60 people, downstairs room – 50 people. Car Parking spaces available – 16.